When I am not working on novels and other fiction stories, I am a freelance writer. In fact, I began my writing career in recent years in the freelance writing realm before I went back to fiction. A lot of people ask me how I find jobs and do what I do. This page is meant to help other freelance writers with advice, perhaps a few tips, and inspiration. Below I will list some of my best clients as well as a few of the webpages where I find jobs, many of which then turn into long-term clients. Please don't hesitate to contact me if you would like any further information on anything. I was a beginner at one time and I am more than willing to help others out. When I applied for a writing position with the Nomad Agency, they sent me some very specific instructions to follow and had me write a sample. They appreciated what I wrote and then started sending me up to 30-40 blogs a week. They were fun to write because they were varied in topic. Some were for insurance companies while others were for weddings. It was a great variety and I loved the work. Once I got used to the formatting, they were a lot faster to crank out. I started with them before the summer of 2017 and they said I really helped them a ton to make it through the summer. They asked me to start preparing blogs for myself and others who wrote for them, which I started doing in October. I write anywhere from 40-60 blogs a week for them, depending on where they are in their scheduling and how far ahead they want to get. They're one of my biggest clients at the moment. It's hard for me to remember where I find some of my clients, but I believe I connected with Ring Ring Marketing through Freelancewritinggigs.com. They asked me to write a sample blog for a window and door company, liked what I did, and started sending me regular work. I now have 20 regular clients with this company for whom I write 4 monthly blogs each (or more!) that's 80 blogs just from this one client. They also have be proof read for some of their other writers, which is a nice break and enjoyable as well. They have been a client for over a year now and are one of my biggest consistent clients. I used to write blogs for Goodbye Crutches on a regular basis. I connected with this company through a writing job board and the relationship continued off the board. They are one of my best clients and they are some of the nicest people I know. I used to write several blogs for them each week on things like tips for those recovering from a non-weight bearing injury. Some of the blogs are rather silly like how to catch a Thanksgiving turkey on crutches. They seem to appreciate my sense of humor. I also wrote guest blogs in their name for other websites including podiatrists, medical advice and other sites with products for recovery. As of 2018, I haven't heard from them in a long time as the owner has moved on to other business ventures, but I want to include my relationship with them so that writers can get an idea of what good can come from accepting a job on a writing board. This connection blossomed into other things. The owner of the company does inbound marketing for other companies and I also write blogs for them including Olympia Gloves, a company that provides motorcycle and snow mobile gloves and other protective gear. Though I haven't written for them in a while, it was a great relationship that went very well. The Content Authority is the very first website I found when I was looking to get into freelance writing. I signed up to be a writer and went through five test articles to receive eligibility to write. I was giving a writer rating and pay scale. With this company, writers are periodically reviewed and their rating can then improve along with their pay scale. I am in Tier 3 with The Content Authority, the second highest pay scale they offer. I am happy with this level and honestly, I do not want to be in the next level up. Tier 4 expects perfection in every detail and with two kids interrupting me quite a bit, I don't feel I can offer absolute perfection in every way. So I am happy where I am with this company and I appreciate the lack of pressure in Tier 3, though I attempt to make my work perfect every time, of course! With the Content Authority, when I have the time, I log on to their site and choose jobs from the job board. I occasionally also get direct orders from clients who have used me in the past. There is a section on the website for applications so I assume they are accepting new writers. Zerys has gone through some changes since I first signed up, but it was one of the earlier websites I found as well. I applied to become a writer and I think I went through a test as well, but I honestly don't really remember the details. On this site, there is a job board where writers can grab jobs at a variety of pay levels. After completing the job, the clients can give you ratings, which helps you secure more direct jobs. I have a 4.1 rating out of 5 stars. I log in to this site to troll for jobs when I don't have anything direct to do. I have gotten many clients from this website and they have all become regulars. When you grab a job from any job board for writers, treat it with care. The client on the other end could be impressed by you and that could lead to tons more work and a solid relationship in the future. They also often pay more when they order directly because they know what they get will be good. There is section for writers on this site as well so you can set up a profile and apply to earn income there. I have found several regular clients through this site. I have one home improvement company that orders from me directly several times a month. Textbroker is a website I found a ways down the freelance writing road. You get a rating and you can take jobs only in your category or below. They rate EVERY job that you write and your category can move up or down often. The problem I have with this site is that though they give you feedback on every article, the feedback is very slow. So it's hard to move up quickly. But when you are at a good star level ranking, it's easy to rack up money fast. It's good to have a variety of sites available to you so I still recommend giving it a try, but only if you have time among the other jobs. Crowd Content I found Crowd Content through a blog post that listed a bunch of sites that pay writers to do what they love...write. I applied and went through a testing process. Once I was "in" they gave me a level rating. They said they usually start writers at 1 or 2 and they NEVER start them at 4. But they started me at 3 so I was thrilled. Once I figured their system out, I liked it quite a bit. If I do the articles I grab quickly and efficiently, I get moved up to a bonus round where I make MORE for EACH article I write. If I do something wrong, I get a strike and after a certain amount of strikes, that bonus goes away. But I have yet to receive any strikes at all. I also like that as I write more articles for them and gain their trust, they allow me to claim more than one article at a time. At first, I could only take one. And they disappear fast so it was frustrating. Then, they allowed me to grab up to 3. Now I can take 4 at a time if I want to do so. I believe this website is a little newer so there aren't as many jobs available, but I've been grabbing what I can when they are because I think this one is going places. When jobs pop up, they are generally grabbed very quickly by other writers. If I happen to be writing and refresh the screen at the right time, I can get jobs on occasion, but not all that often. I have been placed on a few "teams" with this site, including one that writes website information for some senior care homes. This venture was very fun and well paid. The articles were plentiful and enjoyable and add up really fast. I hope they assign me to more similar teams in the future. I signed up for a Skyword account in order to write craft project instructions for children. It was a fun job and I was enjoyed a different style of writing. The only problem I had was that I also had to include an original picture so I had to make the craft and then try to take a decent picture of it...not my strong suit! That program shut down but Skyword has other writing programs for news articles, home improvement projects and even ones for moms specifically. I no longer write for them because most of the programs I was involved with were SO specific in terms of article details and they also needed a picture (either original or royalty free) and I struggled with spending too much time on an article for the amount I was paid for it. The pay is really good, but it was hard for me to spend a lot of time on one thing when I had so many things I needed to get done. One good aspect of having worked for them is that I still get payments from old articles when they are viewed a certain number of times. Every few months, here will come a $1 payment. Hey, I'll take it! When I first branched out into the freelance writing world, I discovered the website freelancewritinggigs.com. This website posts writing jobs on a daily basis, usually around 7am. I would go to the website every morning and look through the jobs. Some are area specific, but others are "online" or "remote" or "telecommute" which means you can do the job from home. I would look at all of those and apply for those that interested me. I didn't hear back from many of them, but when I DID hear back from some, they became long time clients. Even the shorter jobs were fun and interesting and great experience. I highly recommend this site for anyone trying to get into the business of freelance writing. I still look at this website often when I am between jobs and grab odd jobs successfully at times. It is easier to win jobs when you have a resume and samples saved up. I like to save writings because you never know when an odd article you wrote about weddings will come in handy to win another job. 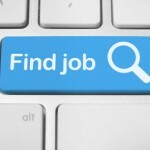 This website has a variety of jobs available and SOMEONE has to get them! I found Search Sciences, a company based in England through the freelance writing gigs website I listed above. Once I went through a trial with them they would send me articles by the dozens. Most of what I wrote for them was travel-related articles about US cities for hotel websites. I would write about New York or Atlanta attractions and things you should see if you visited there. The articles were fun to write, even for cities I had never visited myself. Due to some changes in how people do web searches, they eventually stopped sending those articles. They sent me some on shoes, medication and a few other strange products and after a while I quit hearing from them at all. I made quite a bit of money from the travel articles and thoroughly enjoyed them. I don't know if they take or need more US writers now or not but I enjoyed working with them while it lasted. Update: I got back in touch with Search Sciences in June 2014 and they were glad to be back in touch because they had new American clients they needed writers to help out with. Since, I have gotten many assignments from them, mostly for product descriptions for kitchen supplies you would use in a restaurant. I don't recall where I found out about chainbooks, but at the time, the company was just starting. They wanted authors to writer first chapters of books and they were paying for them. I wrote dozens during the two months they paid to have them written and enjoyed every minute of it. I credit Chainbooks for getting me back into fiction writing. After I wrote first chapters for them, I went back and started writing full books of my own. I remembered how much fun fiction was and I decided to give it another go. I knew I could make money with freelance writing, but I wanted to know if I could do more with fiction as well. Chainbooks no longer pays for first chapters, but you can still visit their website, write a chapter on a book that's already been started, or start one of your own. 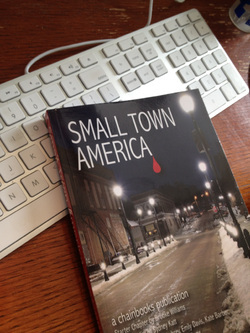 One of the first chapters I wrote is now a full book, Small Town America. They have put out three as far as I know. It's a fun thing to do and a great place for an author to practice writing, but it's not the place to go for payment at this time. Maybe one day the site will explode and that will change! Upwork is a website where writers can create profiles and apply for jobs that look like they would interest them. This website was formerly called Upwork. I signed up because a friend sent me a listing she saw advertised somewhere when someone was searching for a person to write radio scripts. I then got several other jobs from the site including one that had me write e-book novellas (a few of which turned into paperbacks) and another job for writing an entire booklet on crosses and other Christian items a store was selling. It's a fun site to look through jobs and it can really pay off if you find the right ones. I have also used this site myself to place ads for illustrators when I was working on my children's books. You can find good workers for whatever price you post. It's nice that they know upfront what you can pay so they don't apply if it's too little for them. I appreciate the site as a writer and as someone who needs creative help at times!